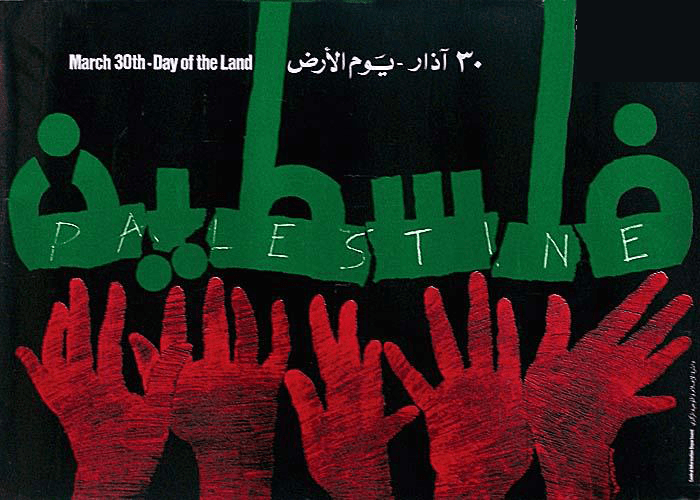 30 March 2016 marks the 40th Land Day, a day of Palestinian struggle against settler colonialism and celebration of the connection of the Palestinian people to the land that continues despite expropriation and dispossession. The day marks the anniversary of the mass upsurge inside Occupied Palestine ’48 on 30 March 1976, in response to an Israeli state attempt to confiscate over 20,000 dunums of land from Palestinians in the Galilee; like today, Israeli “citizenship” has never spared Palestinians from land confiscation and dispossession on their soil. Thousands of Palestinians in ’48, those with Israeli citizenship imposed upon them by the state, who remained on the land after 80% of Palestinians were expelled in the Nakba, rose up with a general strike and mass popular protests in the most visible resistance to the Israeli state and its policies of dispossession since the Nakba. They were met with massive state violence, and the killing of six Palestinians – Kheir Mohammad Salim Yasin, Khadija Qasem Shawahneh, Raja Hussein Abu Rayya, Khader Eid Mahmoud Khalayleh, Muhsin Hasan Said Taha and Raafat Ali Al-Zheiri – by the Israeli army as they marched to defend their land. Just as Palestinians in ’48 face state violence, land confiscation, and the racist policies of Zionism, they also confront imprisonment, arrests and repression. There are currently 75 Palestinian “security” prisoners from Occupied Palestine ’48, housed with fellow Palestinians and facing the same restrictions and denial of rights. Karim Younis, the longest-imprisoned Palestinian prisoner, is from Occupied Palestine ’48 as is his cousin Maher; indeed, six of the seven Palestinian prisoners imprisoned over 30 years for their role in the Palestinian resistance are from Occupied Palestine ’48: Karim and Maher Younis, Walid Daqqa, Rushdi Abu Mukh, Ibrahim Abu Mukh and Ibrahim Bayadseh. Palestinian theater Al-Midan in Haifa was subjected to state scrutiny, repression and denial of funds for its exhibition of Palestinian culture, which included the theatrical performace of a short story by Daqqa. 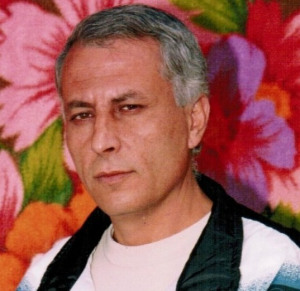 They have been consistently denied release in both prisoner exchanges with the Palestinian resistance and in Oslo-negotiations-based prisoner releases, as the Israeli state attempts to separate them as “Israeli citizens” from their fellow Palestinian prisoners in releases and labels them a “domestic matter“. At the same time, they are housed with fellow Palestinian prisoners, denied family visits, forced to see family only through glass, and held in solitary confinement while Israeli “criminal” prisoners – and even the rare Israeli Jewish prisoner held as a “security” prisoner for extreme-right violence – are granted temporary releases, their sentences limited and lowered, and allowed lengthy family visits, furloughs, and conjugal visits. Palestinian prisoners from Occupied Palestine ’48 include the long-time prisoners held since the 1980s as well as Lena Jarbouni, the longest-serving woman Palestinian prisoner; Ameer Makhoul, the imprisoned director of Ittijah, the Union of Arab Community-Based Associations; and Asmaa Hamdan, the 19-year-old Palestinian woman ordered to administrative detention without charge or trial for sending a text message to her family. The roots of the Israeli military system currently imposed upon Palestinians in the West Bank were derived from British colonial military orders imposed on Palestine – and then on the martial law imposed on Palestinians in occupied Palestine ’48 until 1966, used to undermine all attempts of Palestinians organizing inside their occupied homeland to organize and defend their land. For example, the Al-Ard movement, which was composed of Palestinians in ’48, founded in 1958, was outlawed in 1964; its very name highlighted the centrality of the land and the struggle to preserve of its Palestinian and Arab identity. The criminalization of the movement only reinforced the defense of the land as central to a movement of indigenous people struggling to defend “the imprisoned land” from colonization. Cultural resistance was critical for the Palestinians of ’48. Describing the growth of resistance poetry, Ghassan Kanafani wrote, “Many popular poets were put in prison or confined under severe restrictions. And as the trend of popular poetry grew and expanded, the occupying forces extended their tyrannical, measures, killed some poets and prohibited all Arab gatherings. 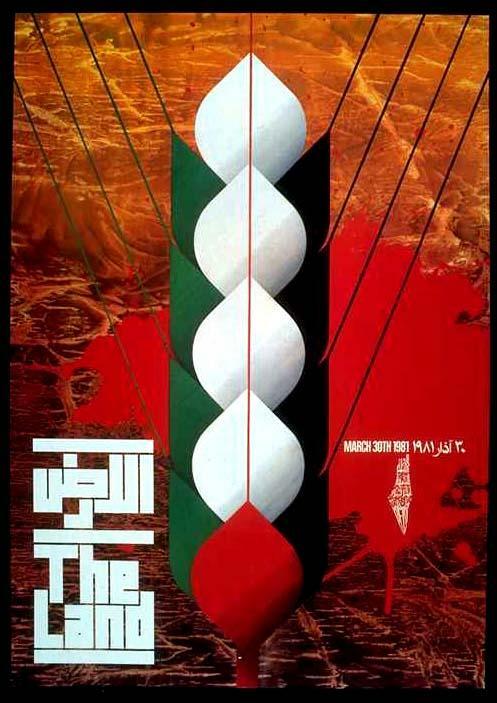 Such measures could not anyhow uproot this trend of resistance but rather kept it dormant for almost five years to burst anew with intense force and vitality.” Poets like Samih al-Qasim and Mahmoud Darwish were imprisoned; the resistance poetry of the prison became a major contribution of the Palestinians of ’48 to Palestinian culture. Palestinian organizations were outlawed while Palestinians were denied freedom of movement, speech and association; at the same time, the confiscation of Palestinian land continued in an ongoing Nakba; by 1993, over 80% of lands under the control of Palestinians after the Nakba in Israel were confiscated. Palestinians in ’48 were, and are, an integral part of the modern Palestinian revolution as well as fellow victims of Israel’s repression and racist violence. Palestinians in ’48 are at the center of organizing Palestinian support for all prisoners; as most Palestinian prisoners are held within the 1948 occupied areas, in violation of the Fourth Geneva Convention, Palestinian political leaders and activists engage in visits, demonstrations outside prisons, and campaigns of support. The Palestinian movement in ’48 has played a critical role in supporting, publicizing and defending Palestinian prisoners on hunger strike in Israeli hospitals, including Mohammed al-Qeeq, Khader Adnan, Mohammed Allan and many others. Today, 40 years later, Palestinians throughout occupied Palestine continue to resist and confront settlement expansion, land confiscation, racism, Zionism and apartheid. From the expansion of settlements, to the destruction of villages and the confiscation of land, to the ban on Palestinian agricultural products entering Jerusalem, to new racist laws proposed daily atop a racist foundation, the Israeli state continues – and is intensifying – its policy of attempting to sever the Palestinian people from the land of Palestine. Land Day is a day of anti-colonial struggle for all Palestinians: for Palestinian prisoners, struggling for freedom in their homeland; for Palestinians in ’48, struggling against apartheid, racism, and dispossession; for Palestinians in Jerusalem and the West Bank, struggling against ethnic cleansing, occupation, home demolitions, land confiscation and settlement construction; for Palestinians in Gaza, struggling against siege and the occupation of the skies, seas and borders; for Palestinians in exile and diaspora everywhere, struggling for the right of return and the liberation of the land of Palestine. It is also an international day of anti-colonial struggle that salutes the struggles of indigenous people in North America, Australia, New Zealand and everywhere confronting settler colonialism, genocide and racism, and the liberation movements everywhere confronting imperialism and exploitation of land, people and resources. As the extreme-right Zionist government of Netanyahu, Ayelet Shaked, Naftali Bennet, Miri Regev, Moshe Ya’alon, Gilad Erdan, Uri Ariel and their compatriots intensify the repression of Palestinians in ’48 and throughout Palestine, it is critical more than ever to intensify our efforts to defend the Palestinian people and Palestinian land, including the campaign to free all Palestinian prisoners. 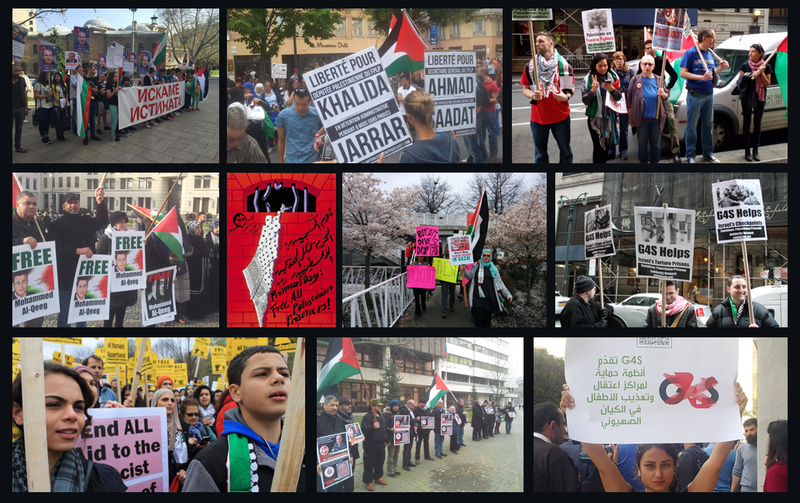 The international campaign for boycott, divestment and sanctions, and the Palestinian call that has inspired and led that campaign, highlights the struggle of Palestinians in ’48 for justice and equality as central to Palestinian freedom and justice in Palestine. On the 40th Land Day, we must escalate global boycott and BDS campaigns and the international isolation of Israel – and the corporations, like G4S, that profit from its oppression and racism. 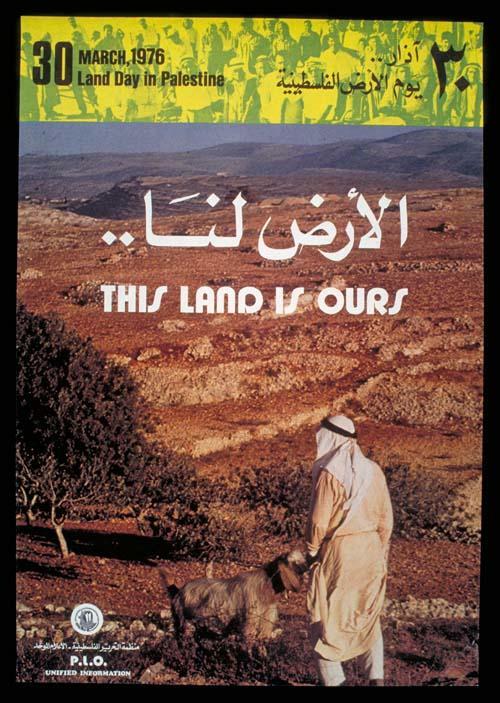 The occupation of Palestinian land is the central facet of the settler colonial Zionist project in Palestine; Land Day marks the unity of the Palestinian land, people, and cause, everywhere inside and outside Palestine, for defending and liberating the land and people of Palestine.